Victorian hospital buildings that have stood empty in Coventry for nearly a decade could be turned into student accommodation. Plans have been submitted to transform part of the old Coventry and Warwickshire Hospital site in Stoney Stanton Road - retaining and refurbishing the remaining buildings. The hospital was shut in 2006 when the new University Hospital opened in Walsgrave. All of the post-war buildings on the site have since been demolished and the area has been used as a car park, but the former nurses’ home and outpatients clinic, which are listed, remain. As well as adapting them, developers also want to build a new five storey block, creating a total of 291 bed spaces for students. There will also be a new cafe together with landscaping, vehicle and pedestrian access, although parking will only be available for disabled students. Nicholas Marchini, from the agents Marchini Curran Associates, said: “The proposals are for new student accommodation that will provide an effective and sustainable reuse of two existing listed buildings and the opportunity to develop associated contextual modern buildings at a key location in the city. “The proposals may act as a catalyst for further development of the wider site. “The new buildings are designed in a contemporary style using modern materials that represent the forward thinking nature of the dealership, that along with the well considered landscaping proposals will create a welcoming scheme in a key location in the city. The nurses’ home was badly damaged, losing a section of the roof that is now flat. An archaeologist’s report suggests that building is currently in a “poor and deteriorating condition” and is suffering from vandalism, theft and the effects of the damp and cold. A public consultation into the application, from Student City Inns Limited, based in Kent, will start on January 14 and run for three weeks. Building work has already started on another part of the site to create a permanent base for Eden School - an all girl Muslim free school. 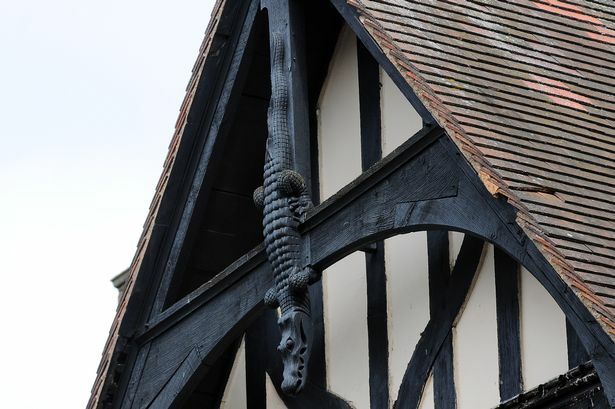 As plans emerge to turn the remains of a former Coventry hospital into student accommodation, mystery still surrounds the origin of intricately-carved crocodiles on some of the buildings. The four carvings feature above the main windows of the former nurses’ house in the grounds of Coventry and Warwickshire Hospital in Stoney Stanton Road. 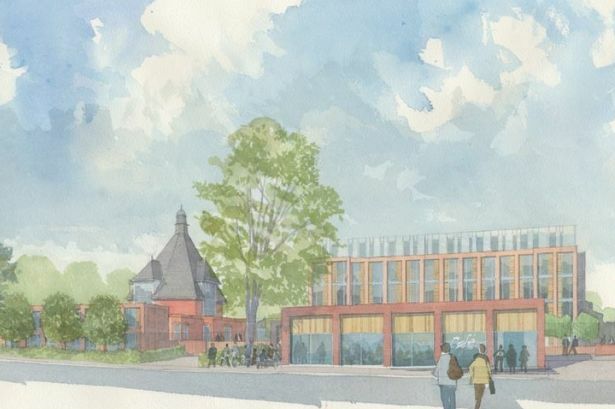 After standing empty for nearly a decade, the nurses’ house and outpatients’ clinic are the subject of a planning application to transform part of the old hospital site for student living. The two buildings, both listed, are all that remain of the hospital which opened in 1867 and closed in 2006 when the new University Hospital opened in Walsgrave. Despite an appeal in the Telegraph more than two years ago for any information about the wooden reptiles, their origin is still unknown. Haydn Burgwyn of University Hospitals Coventry & Warwickshire NHS Trust, said at the time: “There is an awful lot of conjecture about the crocodiles, but nobody absolutely knows. “Why they were ever put there is open to debate: you can come up with so many different ideas, but there’s no proof-positive because most of the archives were destroyed during the Blitz. “It’s just one of those great mysteries of Coventry, a part of the city’s history that’s still alive. The nurses house was funded by the Craven family, who at the time lived at Coombe Abbey, and was opened by the Countess of Craven in the late 19th century. 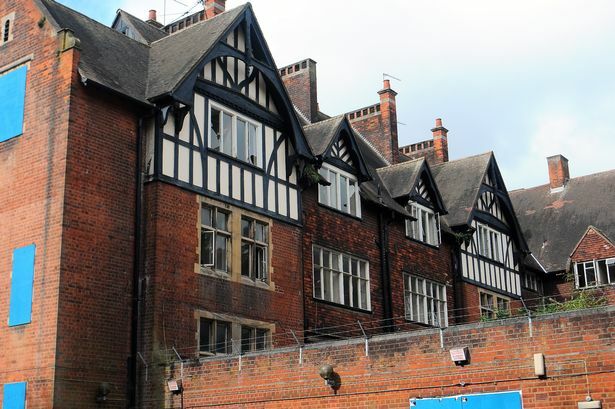 A historic hospital that has stood empty for ten years is set to be turned into luxury student accommodation after planning permission was approved. The Victorian buildings of the old Coventry and Warwickshire hospital in Stoney Stanton Road, Foleshill, will now be refurbished and extended to provide 291 bed spaces. Permission to transform the site, which is in part being used as a car park, was granted to Student City Inns LTD on April 12. According to plans, the listen nurses’ home and outpatients clinic will be refurbished and a five-storey block will be built on the site. There will also be a new cafe together with landscaping and vehicle and pedestrian access, although parking will only be available for disabled students. A public consultation was launched in January for three weeks. One neighbour’s comment applauded the restoration of the building, only criticising how the extension is to be built. It read: “The Coventry Society applauds the restoration of the listed nurses’ home and operating theatre. The hospital was closed in 2006 following the opening of University Hospital in Walsgrave. Much of the site was destroyed during the Blitz with the former nurses’ home losing part of its roof. An archaeologist’s report suggested the building was in a “poor and deteriorating condition” and suffered from vandalism, theft and the effects of the damp and cold. Nicholas Marchini, from the agents Marchini Curran Associates, previously spoke to the Telegraph about the plans when they were first proposed. He said: “The proposals are for new student accommodation that will provide an effective and sustainable reuse of two existing listed buildings and the opportunity to develop associated contextual modern buildings at a key location in the city. “The new buildings are designed in a contemporary style using modern materials that represent the forward-thinking nature of the dealership, that along with the well considered landscaping proposals will create a welcoming scheme in a key location in the city. Parts of the site have already been developed with space being used to create a permanent base for Eden School - an all-girl Muslim free school. 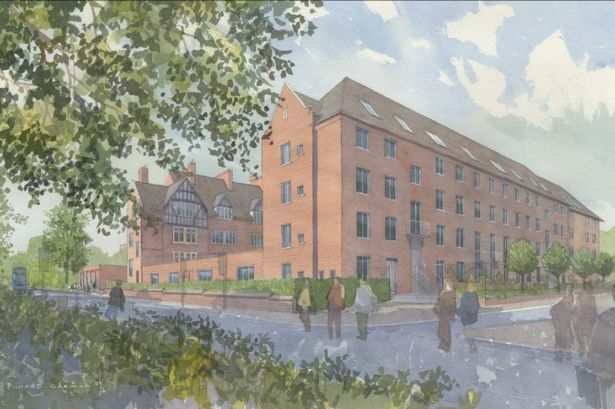 ALTERED plans to convert the Victorian listed buildings of a former Coventry hospital into a block of 344 student flats are set to be considered by planners. 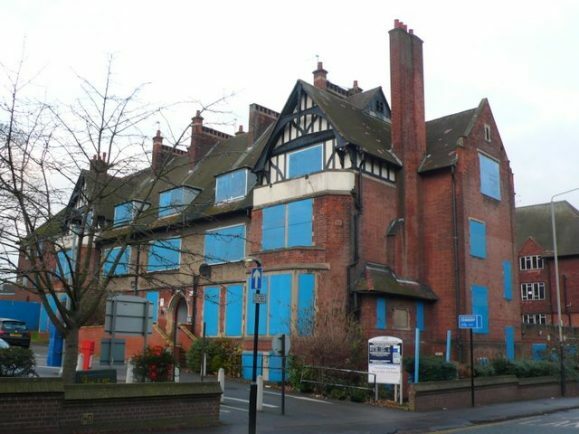 The resurrected scheme on Stoney Stanton Road which gained initial planning approval in 2017 outlines the conversion of the Grade II listed nurses’ accommodation and outpatients’ clinic buildings. It also proposes building a five-storey block and a further single floor building intended to be used as a cafe. Now developers Kier Property Developments has submitted an application to alter the scheme and include three student accommodation townhouses in place of a previously proposed cafe. 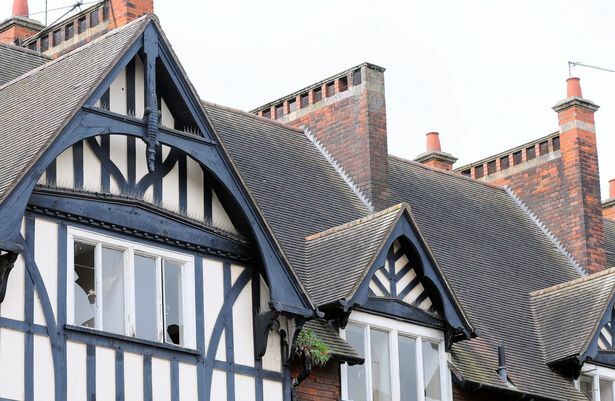 It is hoped the new proposals will accelerate progress on the already permitted scheme which, the developer says, has been behind due to the dilapidated nature of the buildings which have fallen into disrepair. The 322 units originally proposed are broken down to 176 beds in the former nurses’ accommodation building, 40 within the former outpatients’ clinic, 106 within the new central building. The new proposal includes alterations which will free up room for four more bed spaces in one of the buildings. The NHS has demanded a small payment of nearly £30,000 to mitigate the added pressure applied to already stretched healthcare services. The hospital was first constructed in 1860 with some associated buildings damaged by bombing during the Coventry Blitz in 1941. It closed in 2006 after the opening of Walsgrave Hospital, now University Hospitals Coventry and Warwickshire (UHCW). Why not for the homeless.